The Best German Food blogs from thousands of top German Food blogs in our index using search and social metrics. Data will be refreshed once a week. German Food newsletter is a comprehensive summary of the day's most important blog posts and news articles from the best German Food websites on the web, and delivered to your email inbox each morning. To subscribe, simply provide us with your email address. Hamilton, Ontario About Blog Oma's German Recipes Blog brings you "What's New" on our site. Stay up-to-date with new recipes and ideas to help you create those quick and easy traditional German foods and meals. Facebook fans 105,900. Twitter followers 76. United States About Blog Spoonfuls of Germany is my book on German regional cuisine. First released in 2004, re-released nine years later as an expanded and updated edition. While working on the new edition I realized that there were still many more German recipes to discover and stories to tell so I started this blog. Facebook fans 4,128. Twitter followers 5. Germany About Blog ASMR German channel about eating nice and delicious food from Germany. I have fun with eating and I enjoy ASMR triggers. Berlin, Germany About Blog Food and stories from a home kitchen in Berlin by Luisa Weiss a writer and home cook based in Berlin. Facebook fans 5,254. Twitter followers 11,080. Washington, DC (till Sept) About Blog Traditional, Seasonal and regional German food as explored by a British food writer in Riesling country: recipes, travel and restaurant tips, culinary traditions and more. Facebook fans 1,515. Twitter followers 1,158. Germany About Blog Mary Scherpe's independent blog Guiding you to the best food places in Berlin. Facebook fans 120,805. Twitter followers 10,381. N Potomac, Maryland About Blog Follow this blog for authentic German Recipes for home cooking and baking. Facebook fans 33,746. Twitter followers 333. NYC/Germany/Milford PA About Blog I'm an Emmy-nominated television producer and a scuba diving/travel junkie. I have no formal culinary training but the kitchen is my happy place, baking is my therapy and I enjoy the exchange of ideas and creativity food blogging provides. I have created recipes for the Duncan Hines website, was the German Food Expert for About.com and am a member of The Daily Meal’s Culinary Content Network. Facebook fans 918. Twitter followers 545. Washington About Blog Look to this blog for nutrition and lifestyle trends, agricultural issues, and timely updates on FDA actions, trade regulations, and other matters affecting the market for German foods and beverages in North America. Facebook fans 7,231. Twitter followers 145. Germany About Blog Seitan Is My Motor is a bilingual vegan food blog dedicated sugar, fat, and German vegan cooking. A fearless diet is better than a clean diet. Facebook fans 1,973. Twitter followers 460. Germany / Ireland About Blog AllesGerman aims to give a unique insight into German Food and Drink. Regional specialities in Germany and traditional German cuisine. Facebook fans 506. Twitter followers 556. London, UK About Blog A German expat's culinary survival guide to Britain. I have always enjoyed baking and cooking, love especially the traditional food from South-West Germany. I hope you enjoy my recipes! Baking and cooking is my passion, I would like to share with other like-minded people. I hope you make my recipes appetite! Facebook fans 349. Twitter followers 382. Kansas City About Blog Sophie's German kitchen. To make myself feel more at home in this big, new country, I prepare, devour and share German food in my kitchen at home. Texas About Blog German cooking made easy! Traditional and modern recipes from Germany and other European countries. Germany About Blog This blog catches precious moments in our lives that are otherwise so easily forgotten. Thanks for visiting my blog. I do hope that you will enjoy the pictures as well as the recipes. Berlin About Blog Albin is a swedish Chef and Julia a Fashion Designer. They live and cook together in Berlin. 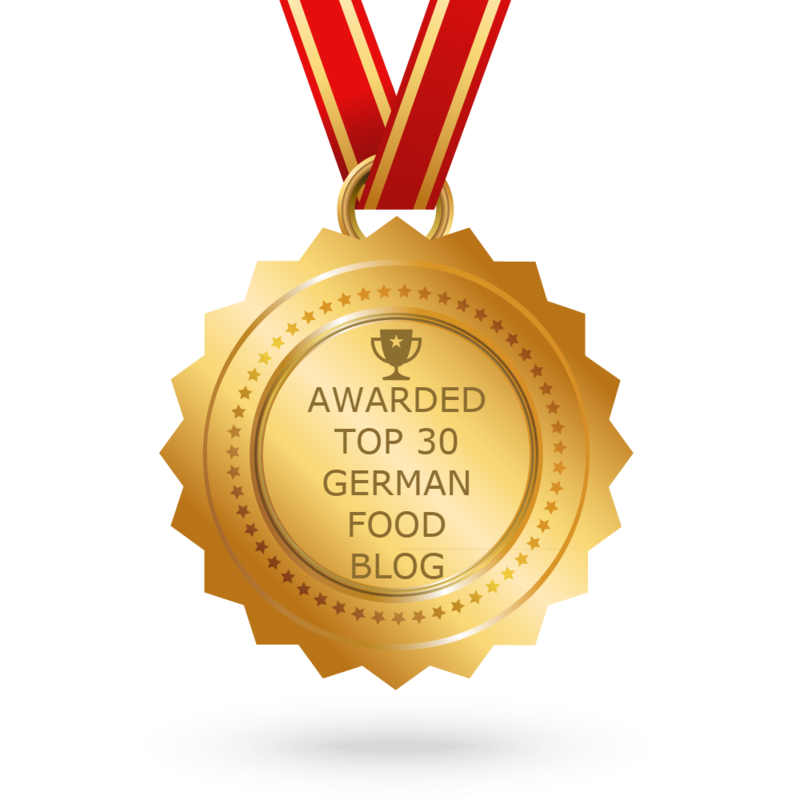 CONGRATULATIONS to every blogger that has made this Top German Food Blogs list! This is the most comprehensive list of best German Food blogs on the internet and I’m honoured to have you as part of this! I personally give you a high-five and want to thank you for your contribution to this world.